Ruby Gemstone is used to pacify Surya or Sun in the horoscope of the native, which signifies the father, power, authority and health. Sun is considered as the base of the Solar System and it imparts strength and power to the native, if auspicious. When a native wears a ruby after consulting an astrologer, it brings success, fame, wealth and good health for the wearer. It protects the wearer from diseases like cardiac disease, hypertension, stomach problems and digestive ailments. Just as the Sun is the center of the Solar System, it represents the thalamus in the human body, which controls all the functions of the body. 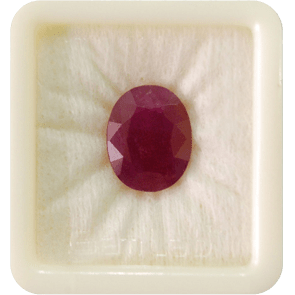 The powerful gemstone ruby can help the native improve overall health and life by providing him positivity and strength of the Sun. Blue Sapphire or Neelam is one of the most brilliant astrological gemstones, which carry the most amazing luster and comes in eye-catching shades of blue. 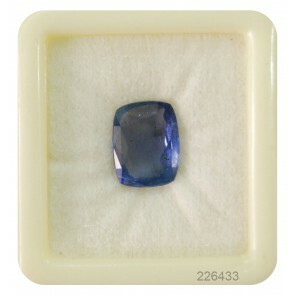 Blue sapphires belong to the corundum mineral category and most of them occur in the natural oval cut. This majestic gemstone is related to the powerful planet Saturn or Shani. Saturn or Shani is a karmic planet which brings results according to the actions of the native. Though it is associated with delays, adversity, obstacles and restrictions, the fact is that the planet symbolizes some positive aspects too, such as discipline, honesty, leadership, hard work, dutifulness and elders. It is manifested as the servant in Vedic Astrology. Wearing a blue sapphire can bring immense good fortune and financial gain for the native, but it has to be worn with caution as it does not suit everyone and can cause harm to the wearer in that case. Saturn is the farthest planet from the Sun and consequently, it signifies activities of the putamen in human physiology, which lies on the outermost edge of basal ganglia and receives instructions (as a servant) and then conveys them to the basal ganglia. The blue sapphire gemstone is worn to acquire favors of the planet Saturn and overcome its malefic influences. 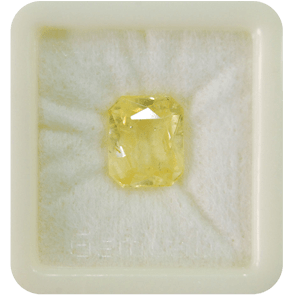 Yellow Sapphire or Pukhraj is a corundum based gemstone, which comes in bright shades of yellow, with hues like golden, honey, brown, green and white. These gemstones have a considerable market value because of their luster and variety in cuts. Yellow sapphire is a gemstone worn to appease Jupiter/Guru, which is the heaviest and biggest planet in the Solar System. Jupiter is revered as the teacher or educator among the planets. It is a beneficent planet which represents wisdom, knowledge, education, good fortune, children, devotion, distant travel, prosperity, justice and charity. The supreme planet influences positive action for the native. Yellow sapphire or pukhraj is the gemstone of wisdom, honor, longevity and good fortune. It not only improves physical health and makes the native financially stable. It also brings love in marital relationships and blesses the native with a male child. 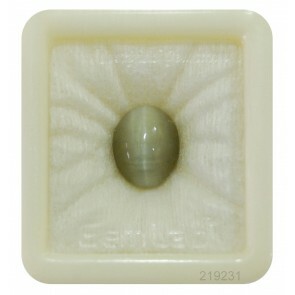 Overall, it is considered a scared and lucky gemstone. In human physiology, the globus pallidus is governed by Jupiter. It acts as a teacher, which enhances the activity of the brain and symbolizes the power of knowledge. Pearl or Moti is an exquisite gift of nature, which is an organic gem formed in the depths of the sea. This glorious white or cream colored stone has the most amazing natural luster. 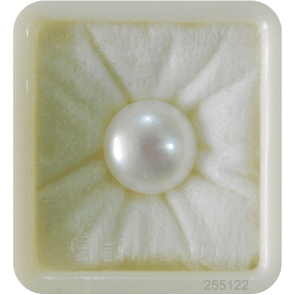 Pearl gemstone is considered the queen of gemstones and it is effective for harmonizing the Moon or Chandra. Moon is the astrological planet which represents the mind, emotions and affluence and an ill-placed moon in the horoscope of the native can have a baneful influence on the emotional set up of the native. Pearl has a soothing effect on the wearer and promotes both physical health and mental well bearing. It brings marital bliss and stabilizes the emotions of the wearer. 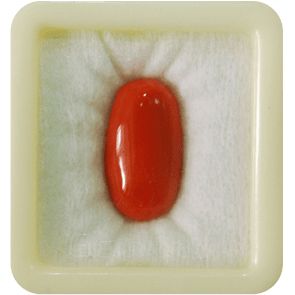 Red Coral Gemstone or Moonga, like the pearl, is an organic gem formed by the skeletons of marine animals, which occur in natural coral reefs. The color of best quality coral is a uniform deep red and is full of luster. Red coral is a gemstone of planet Mars or mangal and is effective for invoking the beneficial effects of this planet. Mangal or Mars is a planet of management and organization, which makes it the commander in chief of the solar system. This planet harbingers strength, courage energy, property, bravery, technical ability and ambition. As a gemstone of Mars, Coral generates new stamina and energy in the wearer and provides protection from diseases of the blood. It has a calming influence and brings happiness and financial growth for the wearer. It can help the wearer overcome the baneful effects of Mangal Dosha in his horoscope. Physiologically, Mars influences the structures red nucleus, Pars Compact and Amygdala, which control the activity of the brain and help in regulating movement and improving steadiness. In this way, coral is a gemstone which imparts stability to the brain. 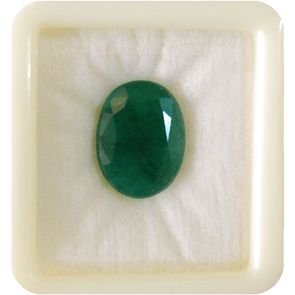 Emerald Gemstone or Panna is a splendid gemstone, which is known for its appealing green color, which occurs in nature in a special cut called the Emerald Cut. Inclusions are a pre-emptive feature of these gemstones; in fact, their presence indicates the purity of the gemstone. Emerald is the gemstone of planet Mercury or Budha and is worn to counter the implications of an ill placement of this planet. Mercury is the astrological planet which is regarded as the Prince of the Solar System. It deals with communication, speech, education, intelligence, teaching, learning, writing, drawing, trade, commerce and diplomacy. Emerald has been considered as the symbol of love and hope. It brings wisdom and education for the wearer, besides improving his physical health. The stone has the ability to help the native overcome stress and also calms down emotions. Speaking of human physiology, this planet is closely related to the subthalamic nucleus, which is linked with the activity of the brain. This part of the brain receives input and performs actions accordingly, as Mercury is influenced by Sun. 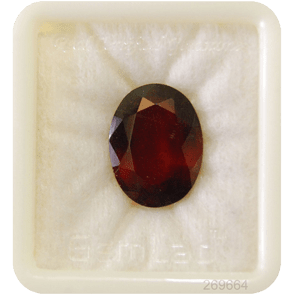 Hessonite Garnet or Gomed is the honey colored gemstone with the beautiful luster, which earns it the name of Cinnamon Stone. Sri Lanka is the chief producer of this charming gemstone, which is the stone of the Shadow Planet, Rahu. Rahu is the astrological planet which is considered similar to Saturn in influence. It represents worldly desires, ignorance, rigidity, laziness and gratification, in addition to bringing drastic influences in the life of the native. Being the gemstone of Rahu, hessonite has the ability to balance the energies of this powerful planet for the native. it helps the wearer to overcome all financial and physical problems caused by ill-placed Rahu. The stone has the ability to revitalize the wearer and generate fresh vigor and energy in his whole being. It calms the mind and brings hope to the wearer. Rahu represents the Head of the Dragon and is related to the head of the caudate in the human physiology, which controls activities like the focus of the eyes, memory and ability to bring about behavioral changes in oneself.